Payette has been one of the most productive regions on the continent both for general farm crops and fruits and vegetables, including clover, alfalfa hay, wheat, oats, barley, prunes, grapes, apples, and pears. In the late 1800’s with land and weather conducive to growing fruit, orchards began dotting the rolling hillsides of the settlement. Melons were a popular crop in the sandy foothill soil north of Payette and in the summer of 1900, 65 carloads, 30 of them cantaloupe, were shipped out. 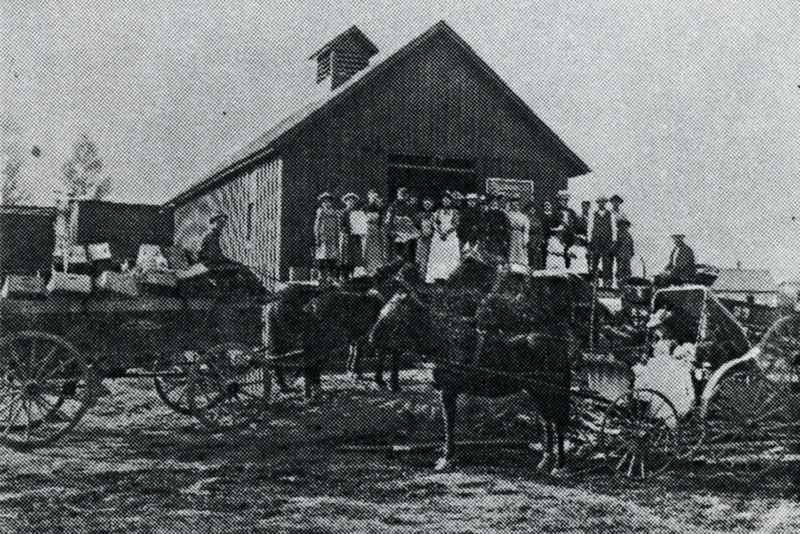 Cattle ranching was also important in early Payette. In 1870 the main line of the Oregon Trail was routed through the valley and just prior to that time many large cattle raisers brought their cattle into the area. As earlier mentioned, Peter Pence brought the first cattle here in 1867. The pride of the Payette community was W.A. Coughanour’s Herferd-Shorthorn steer, Bulger. Bulger weighed 3,303 pounds at age five. He was exhibited at the Lewis and Clark Exposition in Portland in the summer of 1905. Bulger had also been a “favorite son” to the town and a principal tourist attraction. 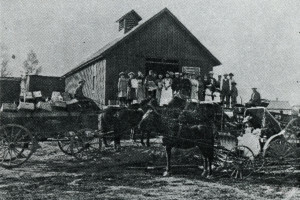 Irrigation, of course, was central to the development of Payette’s agriculture. 1884 saw the construction of the Lower Payette Ditch by the farmers along its route. Peter Pence (See page 4.) extended the lower Payette River irrigation ditch for miles to water the fertile acres north of town. Also, in 1895, Pence constructed two 30-foot waterwheels in the big irrigation canal at a point about three miles above Payette.